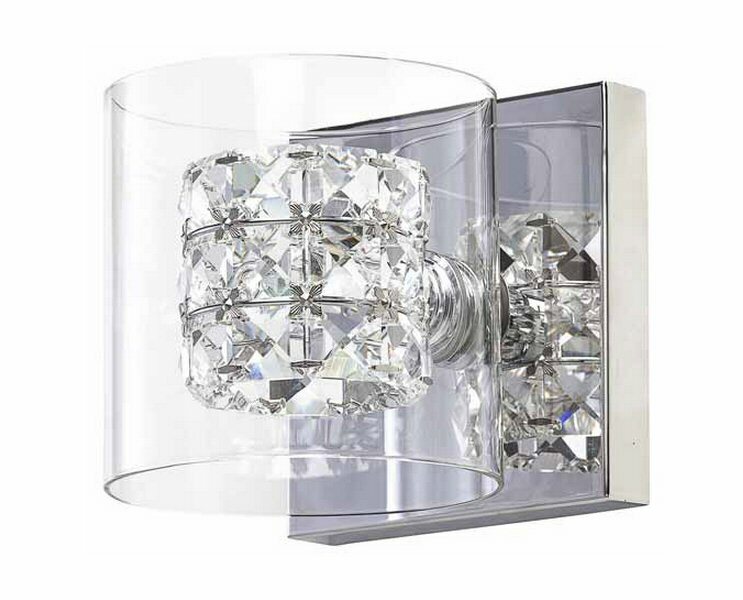 Nuevo Living Elsa sconce combines cutting edge modern design with minimalist glamour. A clear glass cylinders surround a sparkling pin lit crystalized cluster all attached to an elegant chromed steel wall mount. The result chic modern contemporary elegance.